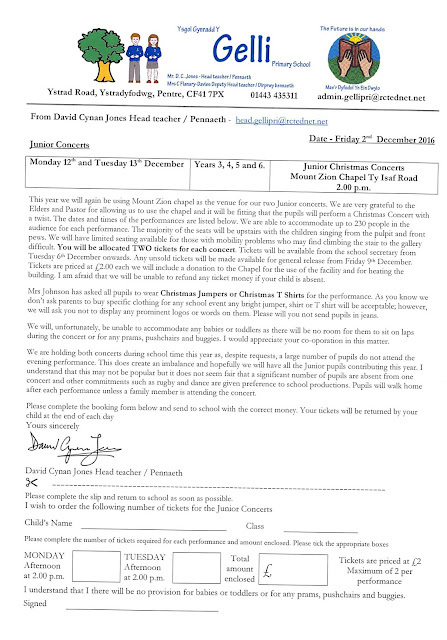 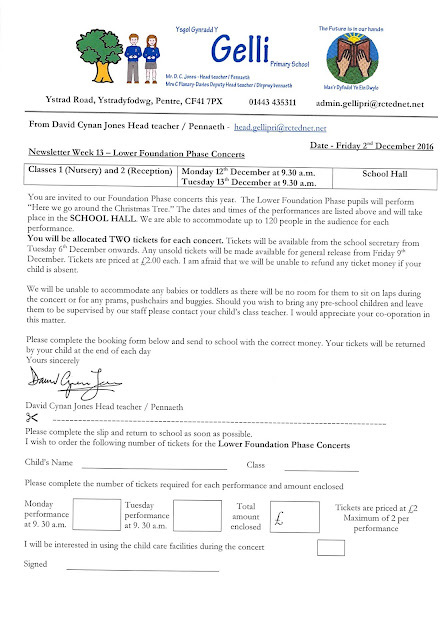 Your child will bring home a newsletter informing parents of the arrangements for next week's concerts. 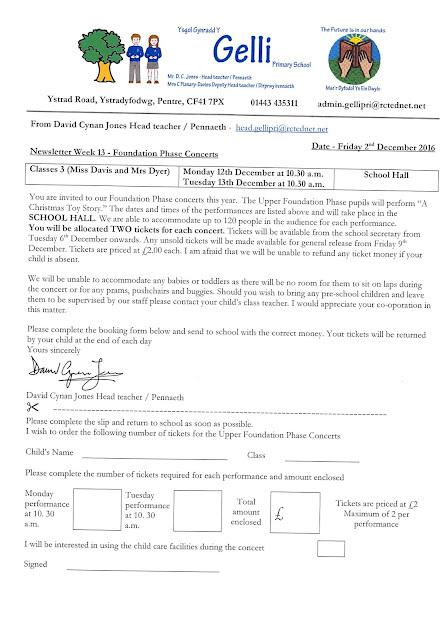 There is a slip for ordering tickets that can be returned to school as soon as you are able. 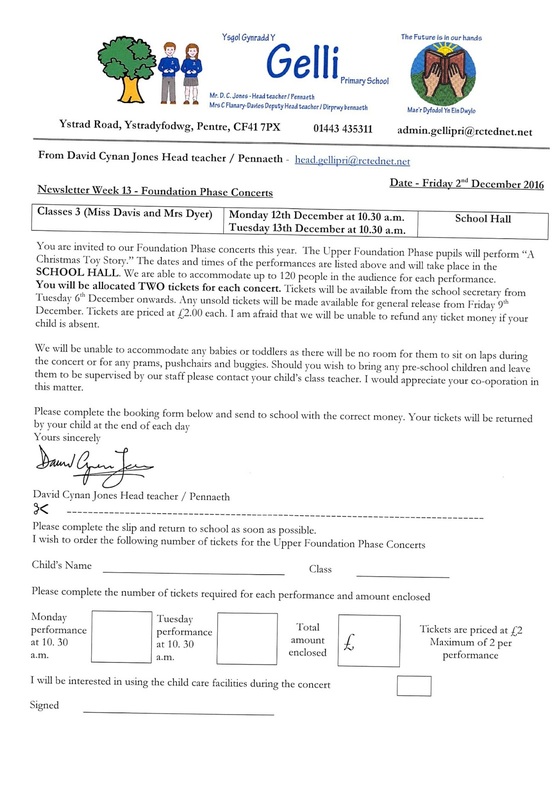 Tickets have been allocated and will be kept until Friday morning. 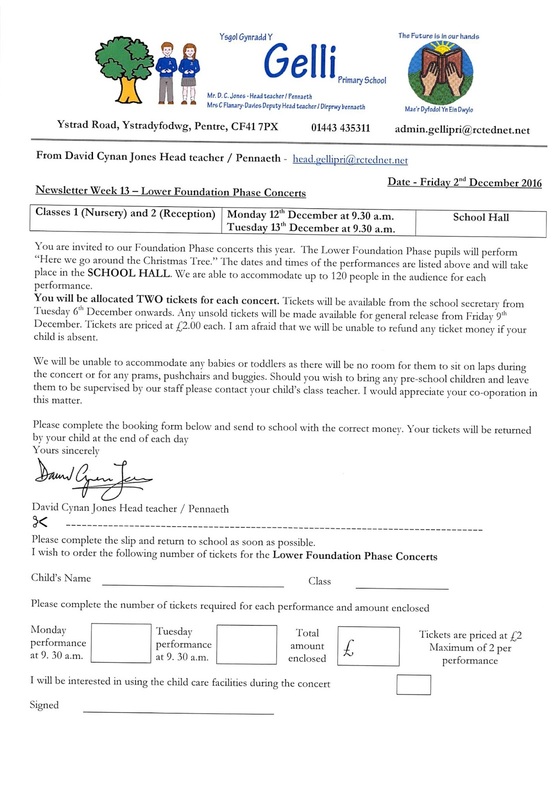 After this time any unclaimed tickets will be distributed on a first come first served basis on Friday afternoon. Copies of the letters are available here for you if your child is not in school today.